Airports Company South Africa Limited (ACSA) has a network of nine airports throughout South Africa, handling over 98% of the country's commercial air traffic. South Africa's airports, under the ACSA ambit, have been transformed into multi-faceted, global gateways for travel, trade and commerce. Retail enhances the traveller experience and is one of the three principal sources of revenue. Advertising is another important revenue stream, as is property development opportunities which promise excellent long-term returns. Client and Passengers Services also seeks to enhance and improve the passenger experience through all ACSA run airports. ACSA also owns a 10% stake in Mumbai International Airport, together with its South African consortium partners, and is part of the team that manages the Guarulhos International Airport in São Paulo, Brazil. In the past year Airports Company South Africa has facilitated almost 40 million passengers through its nine airports. 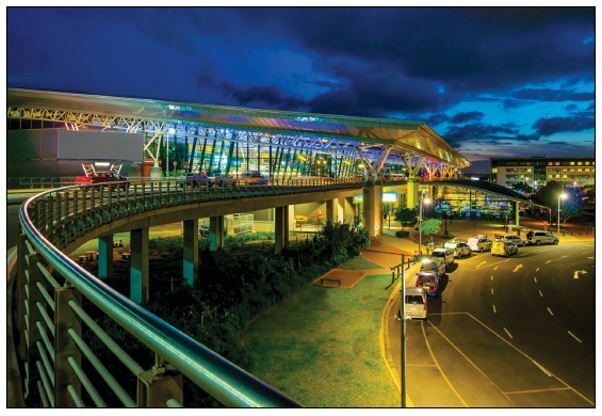 Regarded as one of the best airports in the world, passenger numbers and flights have been on the increase since King Shaka International Airport (KSIA) opened eight years ago. Now in its 8th year of operation KSIA has garnered many accolades over this short period. The accolades include being named the best regional airport in Africa for the past four years, the fourth best airport in the world in the 5 to 10 million passengers category (all by Skytrax) and being named the third best in Africa in the 5 to 10 million passengers category by the Airports Council International. The award that the airport is very proud of is the Skytrax for the Best Airport Staff in Africa 2017. KSIA was also voted internationally as the 10th Most Punctual Airport in the world in its category by OAG Aviation Worldwide in 2017. In 2010 Emirates Airlines (with a daily frequency) and Air Mauritius (with a bi-weekly frequency) were the only international operators out of KSIA. Since then, this has grown to include Turkish Airlines (4 times a week), Qatar Airways (4 times a week), Proflight Zambia (4 times a week), SA Express, SA Airlink and Air Namibia (2 times a week to Gaborone and Windhoek) and Air Mauritius (which has grown to 3 frequencies a week). with B787 900 aircraft three times a week. Now you are able to have breakfast in Durban and dinner in London all in the same day! This was because of the collective effort of the KZN Route Development Committee (involving the city, province, ACSA, Dube Trade Port, Tourism KZN, Trade & Investment KZN) and other stakeholders. The airport is viewed as a major economic catalyst for investment and growth in the region. Now about 5.6 million passengers were processed through the airport in 2017/2018 financial year. The number of international arrivals has increased from 96 000 a year, to 370 000. Since 2010, passenger seat capacity has increased from 6 million to 7.5 million. The compounded average growth rate over the past three years is 7% for seat capacity, and 8% for passenger numbers. Socio Economic Development (SED) is a vital response to the socio-economic imperatives of the country, and ACSA's social investment projects include mobility, health and welfare, job creation, community development, youth development, women empowerment, people with disabilities, environment and education; with focus on projects that boost infrastructure and education based on promoting tourism and jobs in South Africa. To this end KSIA has proudly invested almost R25 million in the past eight years on SED and we will continue to uplift communities. ACSA is currently on a journey to promote and ensure transformation in various areas of the business and recently ACSA publicly presented over 300 retail opportunities that are available at all its airports with about 22 available at KSIA. 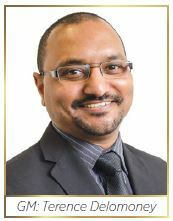 ACSA has implemented its Governance Framework and Operating Model (GFOM) to refocus its business for Vision 2015. The goal is to become the most sought-after partner in the world for the provision of sustainable airport management solutions. The pillars that will ensure ACSA's sustainability is made clear; run airports, develop airports and grow their footprint. The ACSA strategy is underpinned by that decisions and actions taken will be based on the impact on people and society; it is environmentally sustainable and that its business is focused on contributing to the economic growth of the country.